What is it that you don’t like about the ring? I Hate My Engagement Ring, What Should I Do? It’s the moment you have probably dreamed of and envisioned since you were a little girl. The love of your life has planned out everything perfectly without the slightest hint until the moment he drops to one knee. You are already shaking your head yes, before he even begins to ask the question. He pulls out the tiny velvet box and as the excitement begins to reach a peak you gasp as you see the ring. 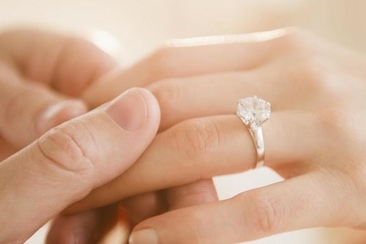 Suddenly, the excitement is replaced by a slight moment of panic, you say yes but inside you’re thinking “I hate my engagement ring!” What do you do? First thing, don’t say anything about the ring in the moment. He probably went to great lengths to plan out the perfect proposal and you don’t want to make him feel like he didn’t do a great job. But what do you do afterwards? Your first thoughts may have wandered to thinking that not picking the right rings means your guy must not know you very well. But, this can be an unrealistic assumption. Just because he didn’t pick the perfect ring does not mean your guy doesn’t know you or that your future marriage is doomed. Everyone’s ring preference is specifically individual and it can be almost impossible for him to get it absolutely just right. This has nothing to do with the future of your relationship. Getting engaged should be the happiest time of your life, so enjoy the moment for at least a week or two before dealing with the ring. Waiting to bring up the subject gives you time to see if maybe the ring grows on you, and you may end up loving it once you show it off a few times. For the time being just enjoy being engaged and let your fiancé see how happy you are about it. After a few weeks, you may still be thinking “I hate my engagement ring” and there is just nothing you can do about it. Before letting him in on your feelings towards the ring, ask him why choosing it for you. Sometimes there can be a pretty romantic reason for him choosing that specific ring, which can make you change your mind on how you see the ring. 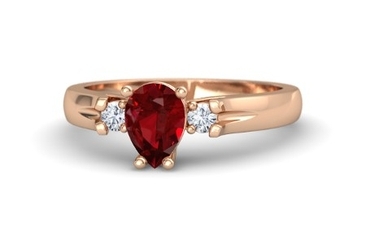 Sometimes the sentiment of the story can make you fall in love with the ring instantly. When all else fails and you simply cannot live with the ring no matter how much you try to love it, you want to think about exactly what it is you don’t like about the ring. You don’t want to go to your fiancé and simply state you hate the ring, but explaining how the setting or stone shape doesn’t fit your style will make it any easier conversation. Changing the setting can be a fairly simple process and less disappointing and upsetting for your fiancé than having to choose a whole new ring. If what you don’t like about the ring is the size or the price, you might want to reconsider bringing this up to your fiancé. Take into consideration that you can always upgrade your stone size on your five or ten-year anniversary. When you are ready to bring up the ring matter to your fiancé, you want to tread lightly. He probably invested a lot into choosing the ring both financially and emotionally, but he will want you to have a ring you absolutely love. 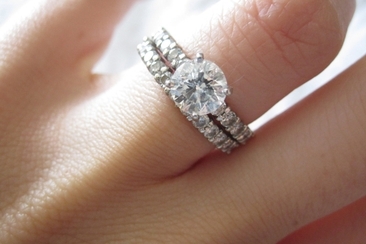 Here are some ways you can tell your fiancé you’re not in love with the engagement ring. You don’t like the setting. Maybe you dreamed of something more vintage looking or you wanted something more modern; the setting of the ring can be an easy adjustment. Simply let your fiancé know that you love the ring because it doesn’t really fit your style. Ask if you can keep the stone but pick out a new setting together. You don’t like the stone. You really want an emerald cut stone but instead, you got a pear shape? You can let your fiancé know that you love the ring but think the stone shape just doesn’t do it justice. Then suggest the stone shape you want to and tell him you think it would really make the ring even more stunning and ask to go look at different diamonds together. You don’t like the metal. Changing the color of the metal for platinum or rose gold can be an easy fix, especially if the rest of your jewelry is in the same metal color scheme. Simply let your finance know that you adore the ring but it doesn’t match the rest of your jewelry and since you will be wearing it forever, you would like to change the metal so you can wear it with what you already have. You just don’t like anything about the ring. While you still don’t want to come straight out and say "I hate my engagement ring", you can imply that you think a completely different style will be something you’d be more comfortable wearing for the rest of your life. Let your fiancé know that you love the ring because he picked it for you but you would like to look at some other timeless rings together. After bringing up the subject to your fiancé, you can decide to keep it, exchange it or sell it, but remind your fiancé how happy you are to be engaged. For most rings, you will be able to exchange or return within a given time frame, but will typically come with a restocking fee. When you know your relationship is heading into the next big step of marriage, you can begin leaving little hints about the type of ring that you would like. Casually mentioning the things you like about certain rings will give your significant other a better idea of the ring to pick out for you. Unique colored engagement rings are representative of a couple that go against the flow and choose more meaningful and personalized options for their union. Check our top picks! 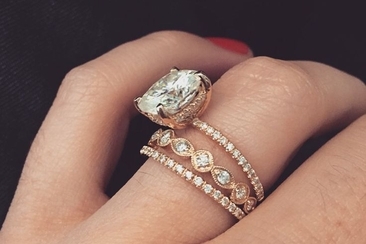 Do you know what engagement ring sat about you? This article will explain your personality and style, considering the shape cut or the band you choose, like the emerald cut, braided band, etc.